The Once and Future King of mobile photography - the PureView camera - is back! Nokia's champion has lived through the twilights of Symbian and Windows Phone, to be once again reborn in the peak of Android era. HMD's Nokia 9 is the bearer of the next-gen PureView snapper, and it's not one, but whole six of them! The next PureView phone was in the rumors for years and yet it didn't come to pass. But it wasn't dead, it was lying dormant somewhere in Nokia, and later - HDM's labs all this time - and now it's available for purchase. 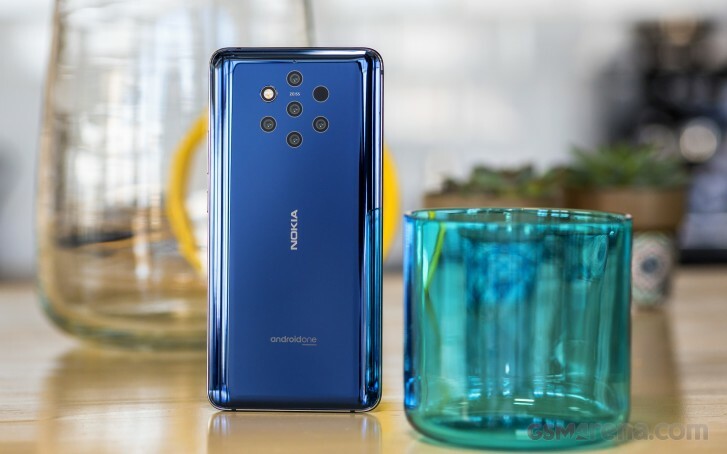 The Nokia 9 launched in the heat of the smartphone photography war and it seems already ahead of the competition - while others are adopting the triple-cam setup and Huawei pushing the quadruple, Nokia is already ahead of the game with the first hexa-camera on the back. Don't get that excited just yet. Even though there are six snappers, not one of those is wide or telephoto. That's because the Nokia 9 PureView isn't targeting the casual user - but the photography enthusiasts who are already used to shooting RAW on their digital cameras and would welcome the same experience on a phone. But more about that new camera in a minute. The rest of the Nokia 9 specs aren't as cutting-edge. The phone boasts a 5.99" OLED screen of QHD+ resolution, a last year's Snapdragon 845 chipset with 6GB of RAM, and a 3,320 mAh battery that won't last it a whole lot. Other aspects of the phone are more up-to-date. It features an in-screen fingerprint scanner and a 20MP selfie snapper capable of pixel-binning for improved low-light performance. It also boots the latest version of Android One - Pie and it has an IP67 rating for water and dust resistance. The Nokia 9's PureView camera has five 12MP modules with the same fixed focal length of 28mm along with a ToF camera. The output of all cameras is combined into one for a supposedly stunning image with unmatched dynamic range. Lossless zoom is on the table, too. This all sounds promising, but those looking for the versatility of the different focal ranges that other manufacturers are offering might be disappointed. The last year's chipset is also a slight setback even though the Nokia 9 is much cheaper than any other newly released flagship. Okay, perhaps it's not as cheap as the Xiaomi Mi 9 but it's still competitively priced. Whether HMD didn't have the time to implement the camera complexity onto a new chip or it was something else - we won't know. 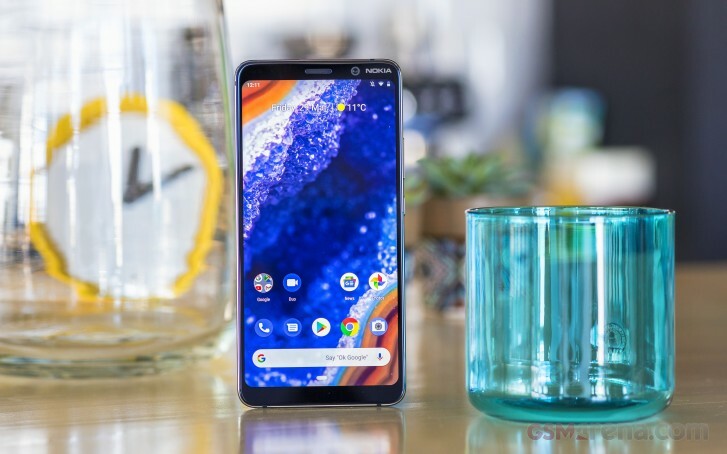 But the Nokia 9 is pitched as a limited edition, which means the future of the PureView camera is hanging in the balance and the Nokia 9 will tip the scales one way or the other. Let's hope HMD's risks do pan out. 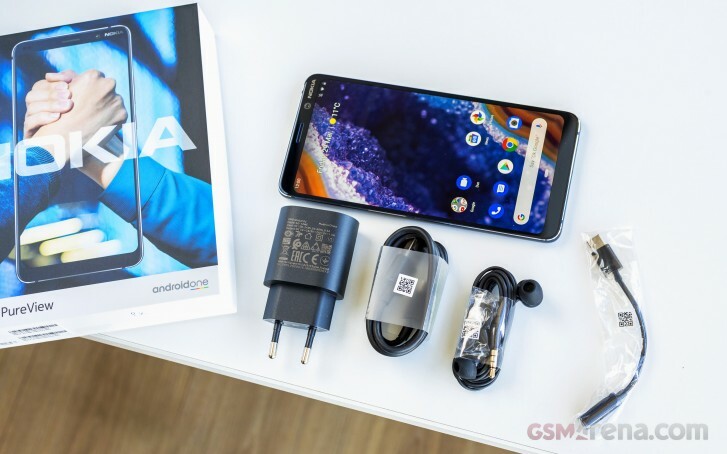 The Nokia 9 retail bundle has all the essentials - an 18W charger, a USB-C cable, and a pair of in-ear headphones with the good ol' 3.5mm jack. Since the Nokia 9 doesn't have an analog audio port, HMD is also proving a 3.5mm-to-USB-C adapter. We have to admit this is the first time a maker ships a smartphone, flagship at that, with a headset that will always require an adapter and we find this odd, if not lazy. It's a war battle zone of where the allies: Nokia 9 lovers, fights in the comment with the enemies: Nokia 9 haters. It's like USS and Nazi. Its funny how people complain about the Snapdragon 845, when the European Galaxy S10 is using the Exonys processor isn't much better.